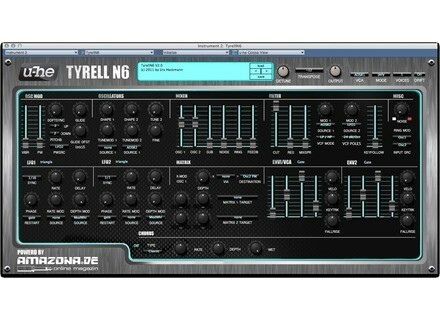 Tyrell N6 v2, Virtual subtractive synth from U-He. Amazona.de has released version 2.0 of Tyrell N6 byu-he, the free virtual analog synthesizer for Windows and Mac. Tyrell N6 2.0 has a new layout and GUI, a Roland Juno-60 type analog chorus effect, and various announced improvements to the sound. nBeat has updated the “80′s skin” for Tyrell N6 to suit the new version 2.0. 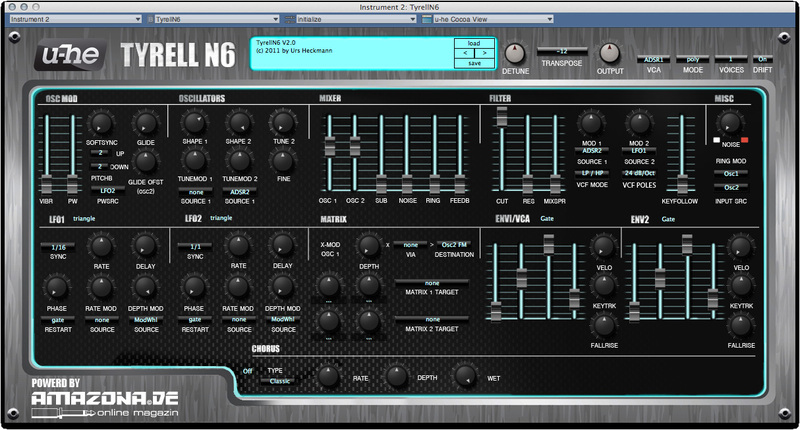 Tyrell N6 v2.0 for Windows and Mac (VST/AU) is available to download as freeware from the Amazona.de website. The nBeat skin is available to download here. [Musikmesse] Soundcraft ViSi Remote for iPad Prolight & Sound / Musikmesse 2012 marks the unveiling and preview of the new Harman Soundcraft ViSi Remote iPad app. U&I Software MetaSynth v5.31 U&I Software has updated the MetaSynth composition and sound design software for Mac OS X to version 5.31. [Musikmesse] Roland Wireless Connect Roland introduces Roland Wireless Connect, a new system that allows electronic musical instruments to communicate with the iPhone.